High Tech Accounting prides itself on its Audit Specialization Team, where our audit experts will help you in any audit case you may be involved in. We meet with our clients and explain to them the steps of the audit process and how we can work as a team to solve any problems that may have come up, correct any misreporting, file any unfiled tax returns, reduce any back taxes and make sure we represent the client in front of the IRS during the audit process. 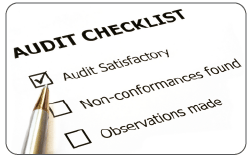 Contact us today to set up a review of your records and make sure you are prepared in case of an audit. Our Audit experts are here to help.